Blok of Dryad. Created by Gerry Conway and Joe Staton. Here's Blok, who was one of my favourites. Still is, I guess. There have been a few hiccups in Blok's characterization over the years, but for the most part he's been portrayed as a reflective, thoughtful sort of person, who struggles with understanding human(oid) culture, and whose reactions are always a step behind them. He formed a crush on the White Witch, and this seems to have evolved into some sort of relationship in which the two are devoted to each other in an unclear kind of way. 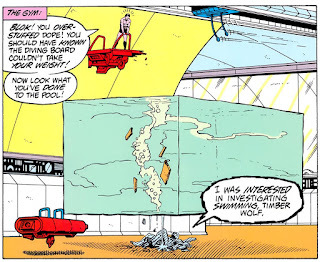 Paul Levitz decided that Blok was kind of a history buff and got a lot of mileage out of having him watching old Legion holo-tapes; useful for flashback stories. 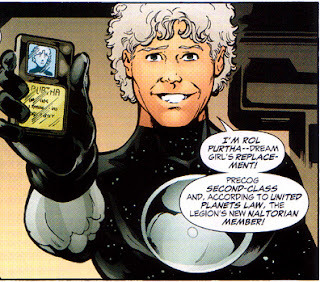 This fits in with Blok's origin: he was a child refugee from a planet destroyed by cataclysm, and was brainwashed by the Dark Man into blaming the Legion of Super-Heroes for this, and joined the Dark Man's Legion of Super-Assassins. He eventually thought better of this and became a Legionnaire. So: he thought about the past, learned things from it, and improved his life thereby. Why wouldn't he keep studying the past? Makes perfect sense. 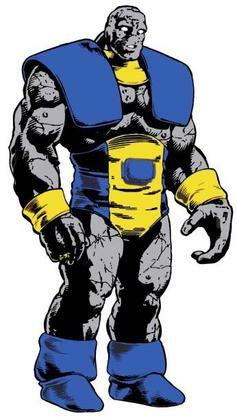 Blok would continue to explore his own nature, including the various physical metamorphoses he went through, but his story was cut short in the 5YL era when Roxxas murdered him. His death was rolled back in the retroboot, but we haven't seen a lot of Blok since then; mostly, he quit the Legion when the White Witch did. Blok's a great Legionnaire when the writer really engages with him and thinks about how to use him. Also he's good for comic relief. 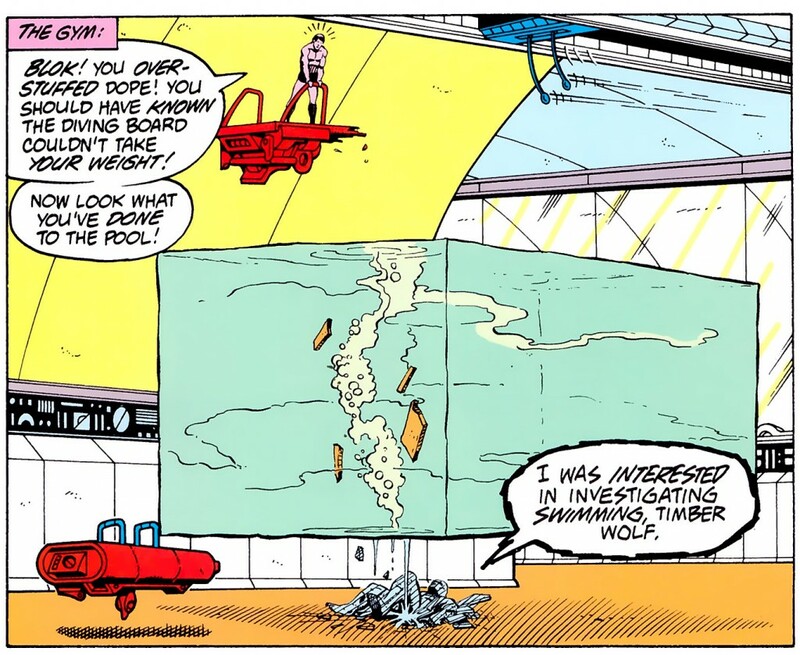 I'd like to read some more comics about Blok. The first thing is this: the title of the show is Supergirl, and, properly, that's who this episode was about. It's not a Legion show; it's a Supergirl show. 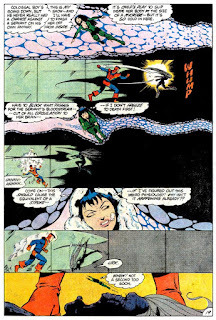 That said, it is a Legiony kind of spot for them to be in: they're being compelled by the logic of time travel to act in some antisuperheroic way, but they do the right thing in the end. Like in the Infinitus story in Justice League Whatchamathing. So that's fine. And there are some details mentioned that prove that the writers have read at least one Legion comic in their lives. The problem is that the Legionnaires don't really do anything. Brainy makes some small talk in Supergirl's mind and pilots a Legion cruiser. Saturn Girl throws some weights around telekinetically. Mon-El gets encased in ice. That's about it. Really, what are they there for? Maybe the story's going somewhere that can get some use out of them, but it isn't there now. As far as the individual portrayals of the Legionnaires... I haven't been a fan of this Mon-El depiction, but maybe they're building him into something more like the character we know rather than making him like that right off the bat. That would be okay. Saturn Girl... they don't seem to be getting anything out of her. If all they want is a love interest for Mon-El, why not use Shadow Lass? Or really anybody? This character doesn't seem to be telepathic, doesn't look like Saturn Girl, doesn't wear a pink costume, isn't a hardass... in what sense is she Saturn Girl? This is not a knock on the actress, by the way, who seems fine. It's just that she doesn't have a part to play. I'm watching the show anyway, so if there's anything else for me to comment on with regards to the Legion, I will. But I hold to my opinion that what the Legion needs is either a regular comic book of their own, or an animated series of their own. 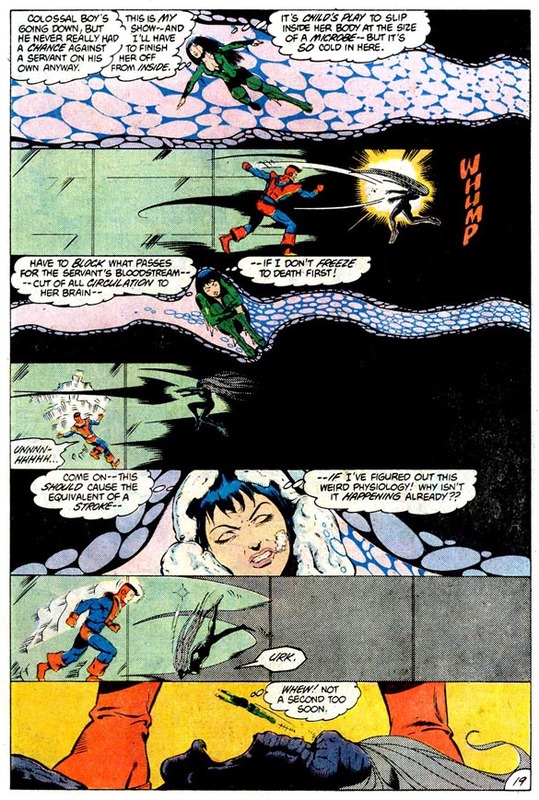 Random guest appearances do not allow the team to appear to their full potential as superhero characters, especially when they're appearing in something where someone else is clearly the main character. It needs to be an ongoing series to highlight the large cast, and it needs to be a comic book or cartoon so that you don't have to skimp on special effects, fake your way through the no-win situation of trying to portray superhero costumes in real life, or have a small regular cast that must appear in X number of episodes. Things like this Supergirl episode are all very well if you just like seeing the Legion anywhere at all and don't mind that it's not actually a good Legion story, but I'd like to watch or read a good Legion story.